The Brazilian educator Paulo Freire famously said that although we often think of reading in terms of reading words, the true activity of reading or literacy is reading the world. 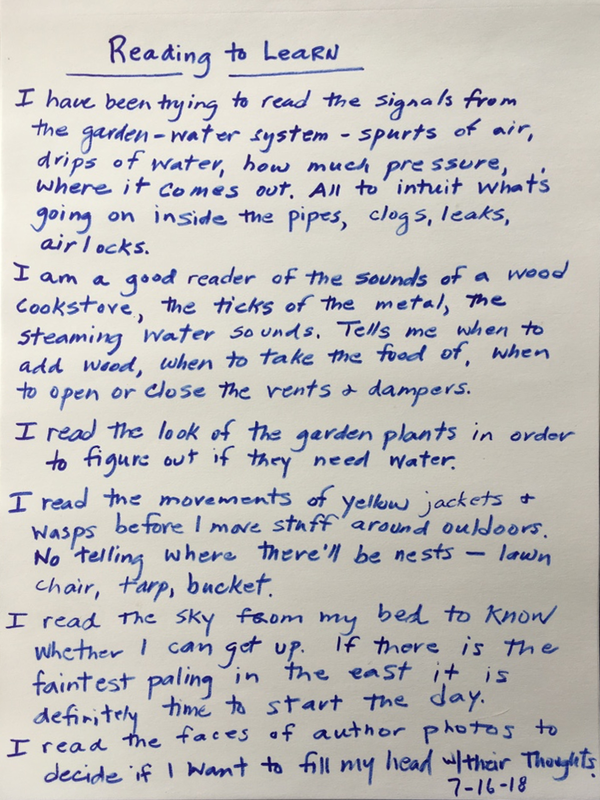 Write about some of the ways that you read that do not involve the reading of words. When we read words, we take in information from the printed page in order to understand something or share in someone else’s thoughts. Think about ways that you do that without words. You can read nature and machines. You can read people’s faces. You can read the emotional tenor of a room. You can read the symbols that display the traffic rules in a city. 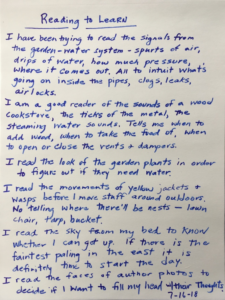 Write about what you read when you are not reading words.